The Human Induced Pluripotent Stem Cells Initiative (HipSci) is a collaboration of institutes and individuals across genomics, proteomics, cell biology and clinical genetics with the aim of creating an open iPSC resource. It includes a large number of phenotypically ‘normal’ donors to allow the study of how common genetic variations affect cellular phenotypes. It has generated over 900 iPSC lines from healthy volunteers and individuals with genetic disease through the projects strong links with the UKs National Health Service (NHS). Consortium researchers employed these lines to conduct cellular genetic studies to discover how genomic variation impacts on cellular phenotypes and to identify new disease mechanisms. The HipSci portal (www.hipsci.org) provides a central catalogue of all of the cell lines generated by the project, providing direct links to all open access assay data. 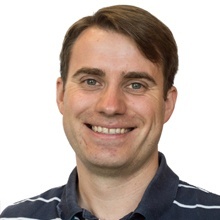 Dr Peter Harrison is the Data Coordination and Presentation Project Lead within the Data Coordination and Archiving team at EMBL-EBI. Peter’s team develops software to handle data curation, coordination, validation, distribution and visualisation for a number of European consortiums and is responsible for the presentation services of the European Nucleotide Archive. Peter has extensive expertise in data coordination, metadata standards, data presentation and a previous research career focussing on transcriptomics and evolution in Galliformes.